Pure USENET is based in the Netherlands. They offer competitively-priced USENET access. 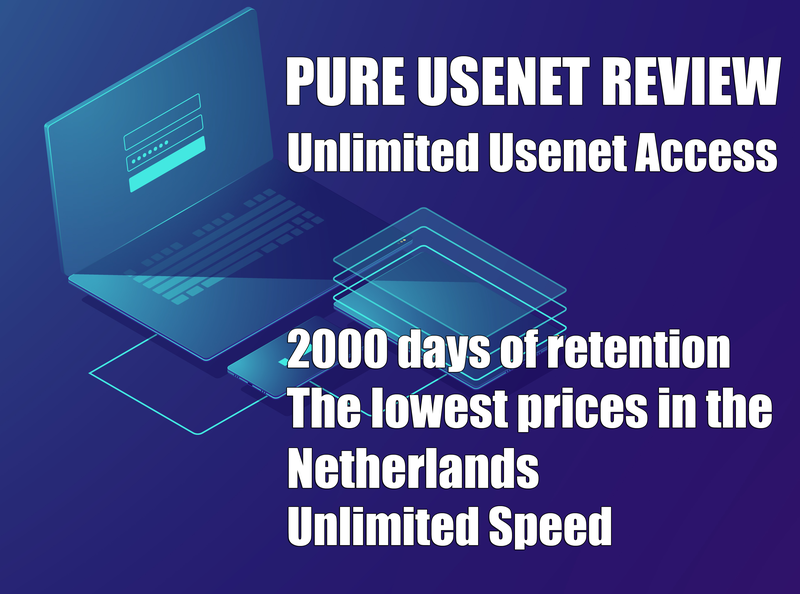 PureUsenet plan packages vary based on the number of connections and you’re allowed to make to their servers as well as the speed you’re allowed to download. All of their plans offer SSL Connections. They do offer several different forms of payment. PureUsenet have servers located in Europe and the US. downloads speeds ranging from 4 Mbit all the way up to 60 Mbit. 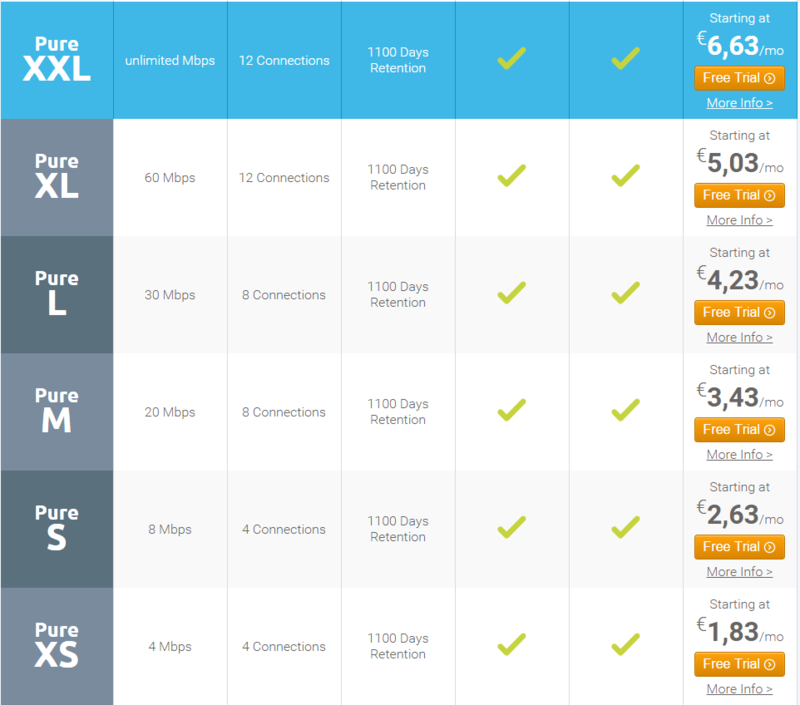 With several speed options in between and an XXL plan with unlimited speeds. Tiered plans include 4, 8, 20, 30 and 60 Mbps caps. We found the XXL plan to be the Best Value.Connections – PureUsenet Offers between 4 and 12 connections with their plans. The number of connections is based on which speed tier you choose. You only need enough to max your ISP allowance. For example PureUsenet can more than max out a 60 Mbit line with 12 connections.Retention: About 10 years ago, the usual retention time was about 30 or 90 days, so . 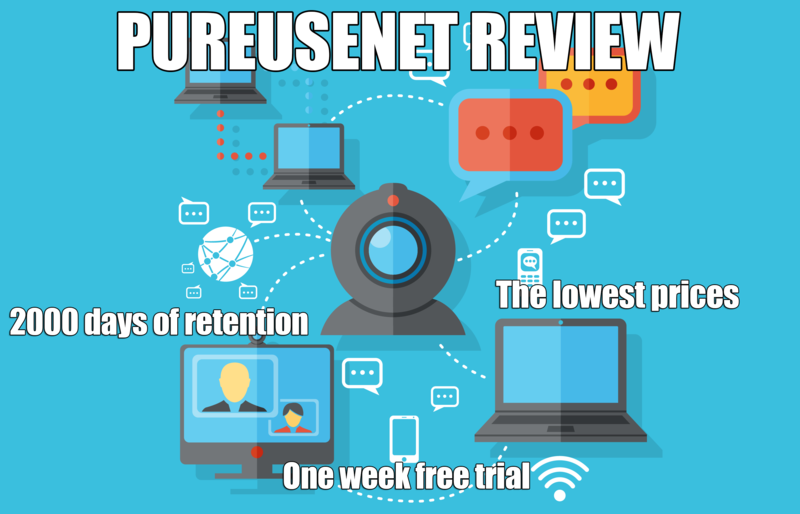 In the last years however, retention has increased drastically, and at PureUsenet is no exception. Currently, retention is at about 1100 days, or about 3 years. For the price this is a terrific bargain.About security and encryption: As is standard with most providers, you have the option to encrypt your connection with SSL, particularly helpful if you are on a unsecured network This is the same encryption used on online banking sites or by payment processors such as Paypal, so this provides you with pretty strong protection.News Servers / Ports – Connect to their news servers for binary Usenet access using port 563 (SSL) or 119 (standard). As you might expect Pure Usenet hosts their server farm in Europe. PureUsenet has an FAQ page on their site to help you with a few common questions. Otherwise you can contact them by email at support@pureusenet.nl for any technical assistance you may need. The available speeds are 4 Mbps (“XS”), 8 Mbps (“S”), 20 Mbps (“M”), 30 Mbps (“L”) and 60 Mbps (“XL”), which starts at €5.03 a month. – members can subscribe to the service with a major credit card (Visa, MasterCard), iDEAL, Bitcoin and Paysafecard. Pure Usenet is a provider for everyone on a budget who still wants to enjoy quality Usenet. 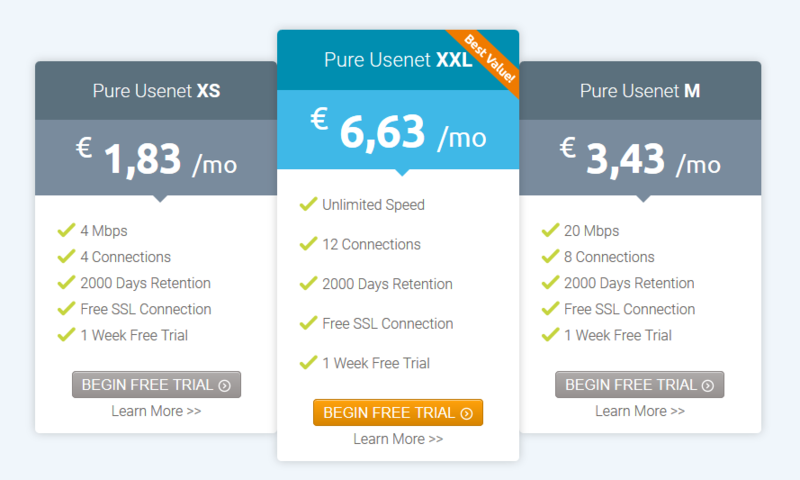 Prices start at only €1,83 per month for 4 Mbps (“Pure Usenet XS”), and €3,43 per month for 20 Mbps (“Pure Usenet M”).These prices are the best bargain for quality Usenet access, and especially the “M”-plan is really interesting for a lot of users. It is easy to get started. Go to the sign up form, enter your information and plan, along with your desired payment method, and hit “Order now”. Or you can choose to get a 7 day free trial, without having to enter any payment information, something most other providers don’t offer. That is definitely a Huge bonus. Afterwards, you will receive your login information and all your account details you have to enter into your newsreader to start your account. PureUSENET offers the lowest prices and outstanding customer service. PureUsenet also accepts bitcoin, which is a for those who need total anonymity.Between the SSL port being available and the provider taking the bitcoin payment method, you should be able to use this service with complete privacy. If you’re looking for something inexpensive and anonymous, this is a provider you might want to consider.